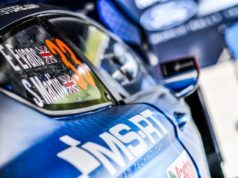 Following few days of storms and persistent fog during recce, the WRC crews lined up for the Rally Argentina shakedown, the final opportunity to get their bearings on the roads at this unusual event. At just over four kilometres long and fairly representative of the weekend’s difficulties, especially on the opening leg, the shakedown stage provided the crews with the chance to familiarise themselves with the local roads, reputed for being very sandy in places and on which ruts can form very quickly. 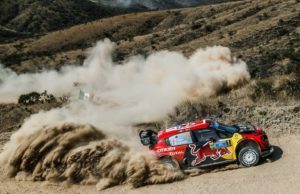 Jari-Matti Latvala was fastest in the distance while Citroen’s Craig Breen and Kris Meeke were second and third. 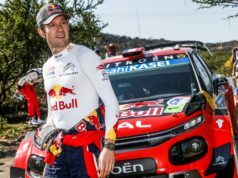 “It’s great to be back in my C3 WRC, especially as the feeling was good right from the word go this morning! I feel that we have a good package to challenge at the front this weekend. I may lack experience on this unusual surface. But I’m going to give it everything and especially make the most of my good road position tomorrow”, Breen said.